Online shopping and eCommerce have received a great consideration in the past few years. 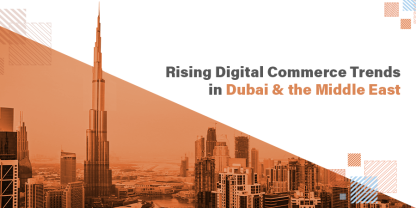 According to Pew Research Center Survey, the online purchasing behavior of the Americans has changed tremendously in the recent years and they prefer to purchase directly through social media platforms these days. In the era of conversational marketing, the only way to win customers is to add personal touch while interacting with them. In such a scenario, integration of chatbots with the Facebook Messenger has taken the eCommerce industry to a whole new paradigm and opened a new channel for businesses to sell their products online. Chatbots constrict the gap of personalization that online buyers face while shopping. Specifically designed to replicate human interaction and powered by AI, chatbots exhibit intelligent behavior like that of a human. Chatbots enable customers to simply ping their favorite brand on Facebook Messenger and get information about their latest collection. Furthermore, clients can also get a recommendation on styles that they would like the most. Although chatbot is the newest trend in messaging, its popularity can be established by the fact that 80% of businesses want chatbots by 2020. Chatbots stimulate a real conversation with the customers and help businesses reach a bigger audience and transform customer experience to a whole new level of online shopping. Here are some of the benefits that chatbots can provide to the eCommerce businesses. Businesses can leverage the popularity of mobile messengers such as Facebook Messenger, to outreach massive audience. 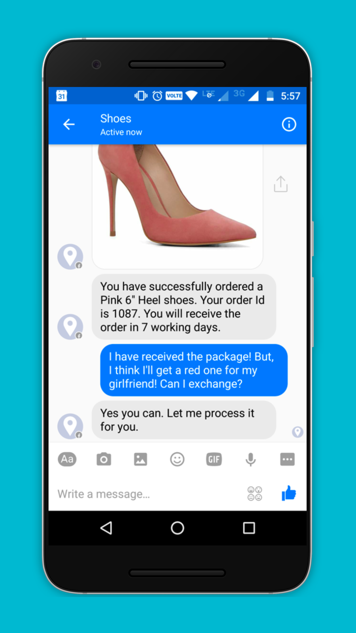 By creating a bot on Facebook Messenger, online stores can connect to 900 million users and let them know about their services/products. Affiliate marketing is easy with chatbots. Businesses can offer their services to the audience who are actually interested in their services/products. These automated text communication tools offer a comprehensive overview of each prospect and respond instantly to customers’ queries, thus increasing conversion rates. Chatbots stimulate the shopping experience by allowing customers to order any product from the online store without visiting the website or downloading an app. Since chatbots save the order history of the customers, it becomes more convenient to order the products just at one click. Chatbots upsurge up-sell or cross-sell by engaging customers and answering to their questions. The bots can store the order history of the customers and make recommendations based on this history or suggest complementary products while customer is purchasing certain products like “you may also like this??? or “others who bought this also bought this???. Using chatbots, businesses can provide quick, personalized, and convenient customer services. Integration of chatbots with the online stores allow customers to browse the products in an easier way and place an order directly from the Messenger. Moreover, exchange or return of products is easy with chatbots as they initiate the return process after getting answers to some standard questions. Facebook chatbots have a huge potential in the eCommerce industry and they are a new prerequisite for online businesses. 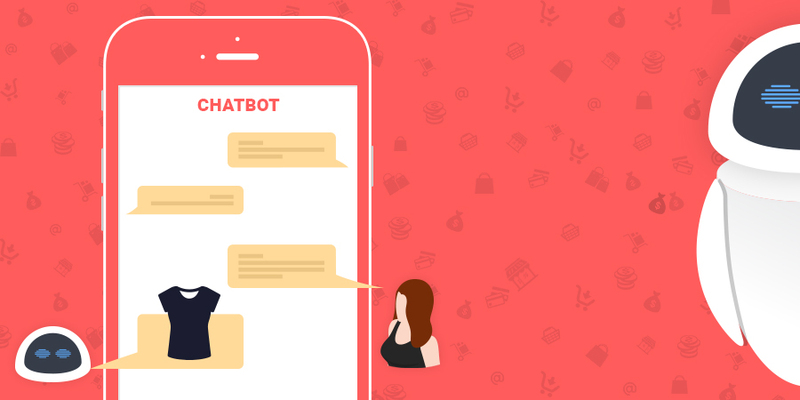 Be it the promotion of a brand, generation of automatic replies to queries, reaching the target customers or raising the awareness during a product launch, chatbots offers a sublime opportunity for retail brands. In addition to this, chatbots empower businesses to engage off-website audience and turn them into customers. Businesses, who have not incorporated chatbots in their marketing strategy yet, must integrate soon to enhance their work efficiency and help their customers in a better way. 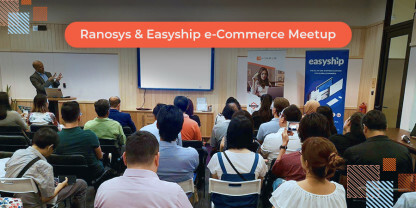 For more understanding on the chatbots market or integrating chatbots with multiple shopping carts, contact us or drop an email to sales@ranosys.com.